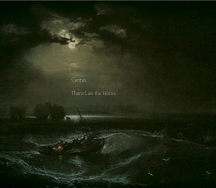 Cantus proudly presents, “There Lies the Home,” a song cycle based on man’s journey across the sea. This exciting and heartfelt album features works by Stanford, Tormis, Beach and Sting, and includes the world premiere recording of “A True Heart is Waiting” by Edie Hill. Art songs, folksongs, new commissions, modern masterworks and pop songs come together to weave the tale of one man’s journey across the waters in a way that has become the hallmark of Cantus.